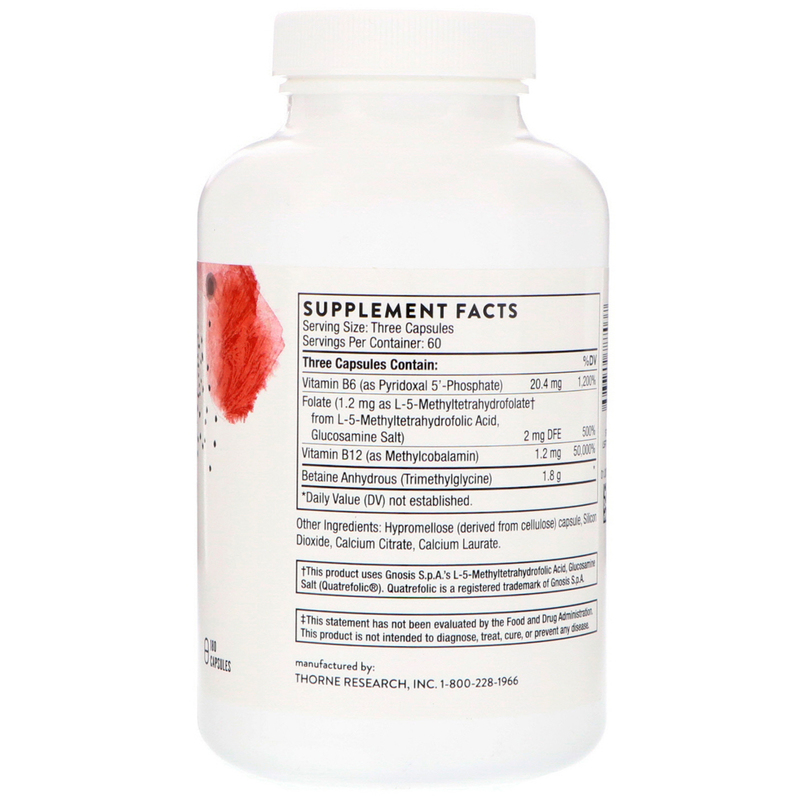 Supports methylation for healthy heart, blood vessels, brain, and bones. Methyl-Guard contains betaine, 5-MTHF, methyl-B12, and P5P to support healthy methylation for cardiovascular, cognitive, and bone health. Methylation helps maintain healthy homocysteine levels. The body's methylation process is key to maintaining a healthy level of homocysteine, as well as to multiple other biochemical processes involving neurotransmitters, detoxification, cardiovascular health, eye health, muscle health, bone health, and redox balance. Maintaining a normal homocysteine level in the blood has joined having normal cholesterol and triglyceride levels as primary objectives for maintaining good cardiovascular health. Because Methyl-Guard promotes healthy methylation, it helps maintain heart, blood vessel, cognitive, nerve, bone, and female reproductive health. 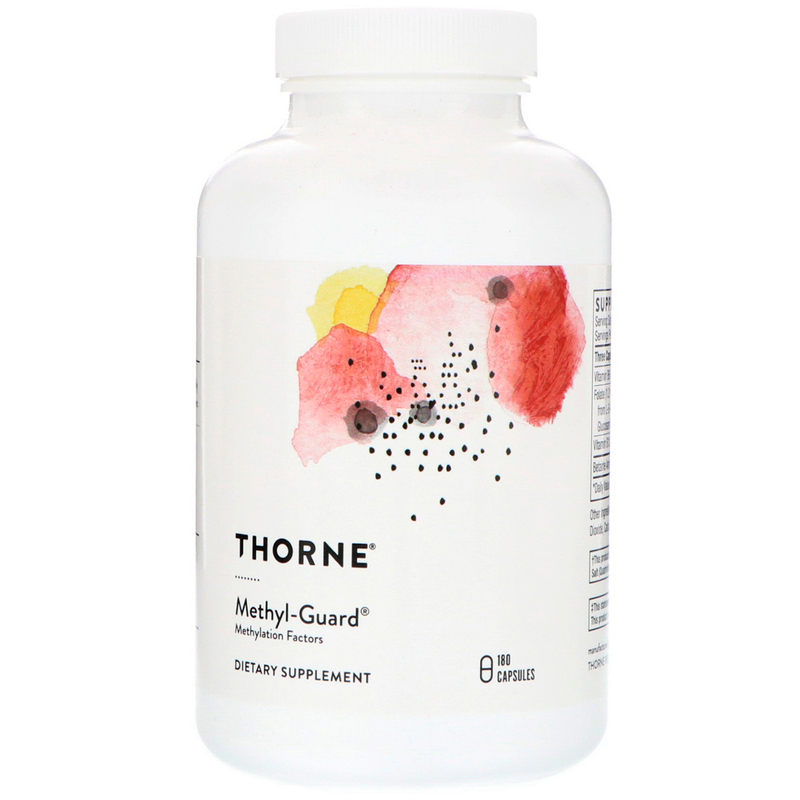 Methyl-Guard was the first nutritional supplement on the market to support homocysteine metabolism and healthy methylation using nutrients in their active, tissue-ready forms. Methylation – the addition of a methyl group (CH3 – one carbon attached to three hydrogens) to another molecule – is an essential and vital biochemical process in the body involved in multiple biochemical pathways involving neurotransmitters, detoxification, cardiovascular health, eye health, muscle health, bone health, and redox balance. A number of specific nutrients are necessary for the process of methylation to occur normally. Methylation is essential to help maintain a normal level of homocysteine. A deficiency in homocysteine-metabolizing cofactors is commonly seen in the elderly, resulting in an increase in homocysteine levels with advancing age. An elevated homocysteine level associated with aging, as well as low levels of folic acid and vitamins B6 and B12, often results in the decreased methylation of numerous substances, such as DNA and proteins, which in turn decreases the integrity of vascular structures and neurons. Providing nutritional cofactors for homocysteine metabolism also provides support for a healthy brain. A number of biochemical imbalances that raise the level of homocysteine can be addressed by supplementing with appropriate nutrient cofactors. For example, folic acid (as L-5-methyltetrahydrofolate), vitamin B12 (as methylcobalamin), and betaine (trimethylglycine) help recycle homocysteine to the amino acid methionine, while the recycling of homocysteine into the beneficial amino acids cysteine and taurine is facilitated by pyridoxal 5'-phosphate (the active form of vitamin B6). Studies have shown these nutrients help maintain a normal level of homocysteine in the blood. Because homocysteine levels can be higher in individuals in which the enzymatic reaction that converts folic acid to the active methyl donor L-5-methyltetrahydrofolate (5-MTHF) does not function properly, Methyl-Guard contains 400 mcg of active 5-MTHF per capsule. Take 3 capsules two times daily or as recommended by your health-care practitioner. Hypromellose (derived from cellulose) capsule, silicon dioxide, calcium citrate, calcium laurate.